I’m working on a letterpress calendar, with a block print picture for every month. 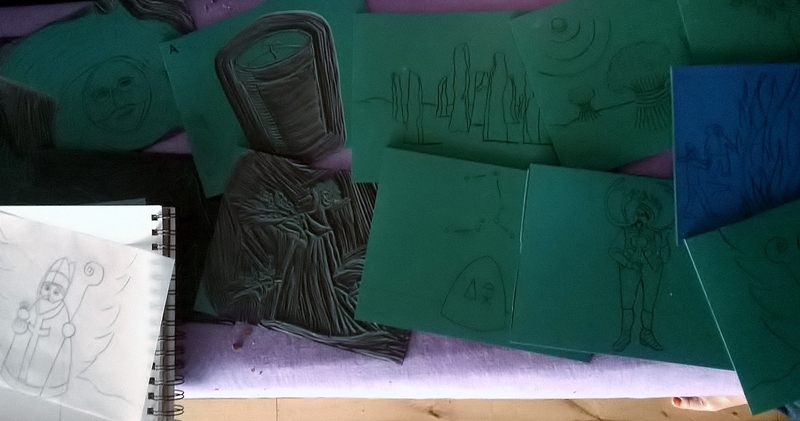 I’ve completed every design now and put them onto my favourite green vinyl (so much better than lino). Some images were really easy to do…others gave me a puzzle. I’ve now done two images for August, and I am not 100% decided on which to use. Simple rural scene, summing up summer in a traditional way. The first design was of harvest. A scene of corn stooks in the blazing sun. Traditional, rural, feel-good….but hold on, maybe a bit twee? 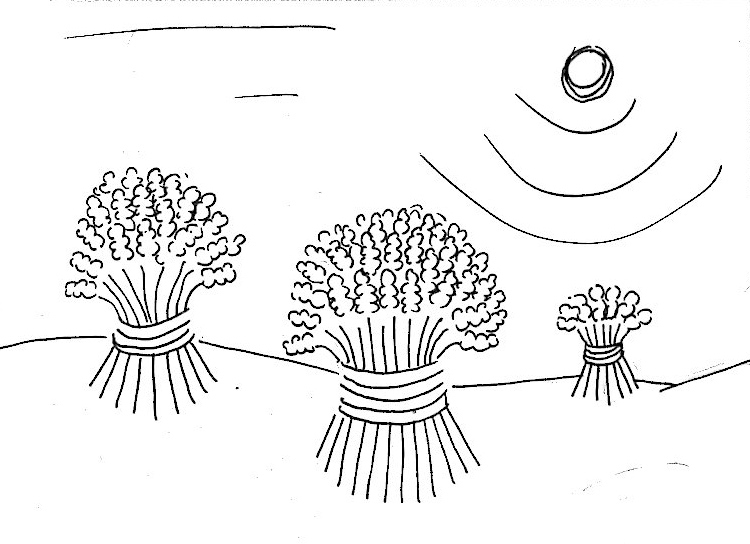 Maybe those wheat sheaves actually look like cauliflowers? Mmm, well, back to the old drawing board. What does every British person experience in August? Of course…. 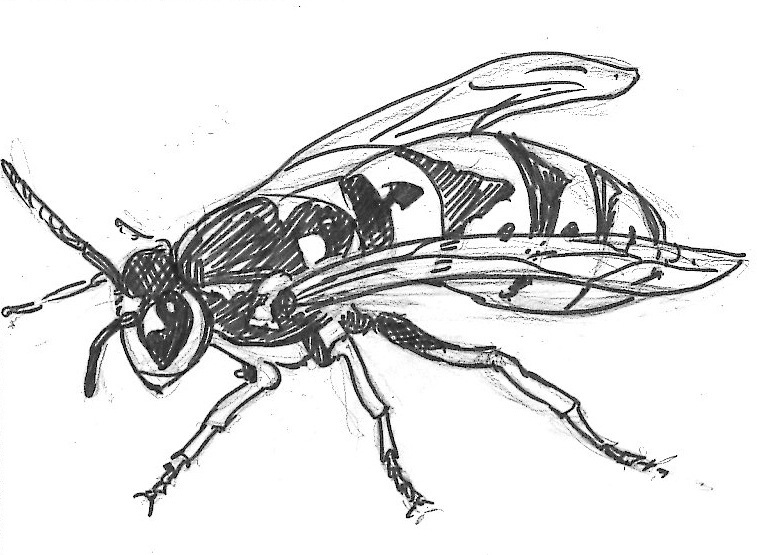 Drawing this wasp was a good exercise but once I’d transferred it onto the vinyl ready to cut, I was surprised to realise that the image disturbed me….I’m not sure I want to look at a picture of a giant wasp every day for a month. Still, I know that prints always take on a life of their own, and the image will change. That’s what I like about prints. With some brown ink and yellow paper, the wasp could get less menacing … or maybe the original harvest picture will look a bit more abstract.